EurekAlert!, the AAAS-operated science news service with a global audience that includes some 11,000 science journalists, has seen a dramatic uptick of press material from Japan. Sixty-five news releases from 10 institutions have been featured on its Japanese news portal so far this year, compared to 15 releases from 6 institutions in 2014. Visits to the bilingual news site, which got a fresh, new look last November, have already more than quadrupled last year’s tally. Through a concerted strategy that includes a science-writing internship and a bilingual news website, the small and young Okinawa Institute of Science and Technology (OIST) Graduate University has landed coveted profiles in The Economist and Science; while The University of Tokyo, which began issuing English news releases consistently last year, has been featured on National Geographic, New Scientist and the BBC. The push to communicate science broadly has been motivated — and funded — in part by two lucrative government programs designed to increase research competitiveness and internationalization. Compared to other world-class universities, Japanese institutions can be cloistered places, where Japanese is the dominant language, even in funding applications, conference proceedings, and promotional materials. This isolation has taken its toll: Only two of Japan’s 781 universities made it within the top 100 in the 2015 Times Higher Education World University Rankings. The Top Global University Project, launched last year by the Ministry of Education, Culture, Sports, Science and Technology (MEXT), aims to boost the global standing of 37 institutions by offering a total of 7.7 billion yen over 10 years to increase international exchange and the number of foreign faculty and students. A year earlier, MEXT committed up to 400 million yen per year over 10 years to 22 institutions through the Program for Promoting the Enhancement of Research Universities. The funds are earmarked for the hiring of University Research Administrators (URAs), who perform myriad roles within the research enterprise, from strategic planning, to partnership development, to communications. And while there is no shortage of scientists willing to communicate — a 2013 survey of 9,000 scientists, for instance, showed that 71% of respondents agreed with the government’s plan to improve communication with the public, and nearly 65% said that they were already doing it — there are growing pains. Hiroshima University, a recipient of both MEXT funding programs, has assigned five URAs to support international science communication. It is also recruiting an international intern to produce original content in English. Senior URA Norifumi Miyokawa, who oversees international outreach, said faculty have generally been positive about the new experience, and some have been contacted by media, industries, and other scientists as a result. “But understanding of international science communication at our university still has a lot to be desired, and we need better and more effective division of labor and collaboration for science communication,” he added. Many of the URAs assigned to facilitate media outreach aren’t trained communicators, said Amane Koizumi, a professor at the National Institutes of Natural Sciences and author of the 2013 study, which he conducted for the Center for Science Communication at Japan Science and Technology Agency. Koizumi, through the Research University Network of Japan, has been organizing on-the-job training for URAs and press officers from 25 universities. More than 30 communicators traveled to the 2015 AAAS Annual Meeting in San Jose, CA, and more than 60 attended a 29 May workshop in Tokyo, which included case studies of using EurekAlert! to reach the foreign press. Seventeen institutions — including the University of Tokyo, Kyoto University, and Osaka University — have now signed on to use the service. 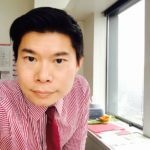 Brian Lin is the Director of Editorial Content Strategy at EurekAlert!